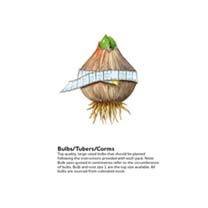 If you’re after hardy little plants that create impact during winter, cyclamen coum bulbs are perfect. Don’t be fooled by their somewhat dainty appearance – these colourful little guys are tough. A popular choice for adding colour to your borders and containers during the winter, cyclamen thrive in full or sun dappled shade. Cyclamen bulbs will flower from autumn to spring, so they’re popular spring flowers as well as winter ones. 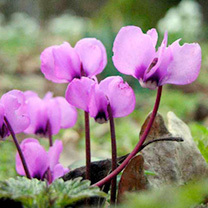 Cyclamen coum produce lilac-rose flowers in beautiful contrast to deep green leaves with silver patterns. We’re always looking for ways to grow bright, beaming colours during the winter. Cyclamen are great for adding a splash of eye-catching colour to your beds and borders during autumn and winter, and when spring rolls around they’ll still be blooming as your garden comes back to life. Hardy and tough, they’ll thrive in shady conditions, so they’re brilliant autumn plants.